Mary D. Wade, Author - Like Father, Like Son? Growing up in South Arkansas, Mary Wade graduated from Baylor. While her 2 children with husband Harold Wade were young, she completed her Masters in Library Science from Texas Woman’s University. She began a 25-year career as an elementary librarian in Ohio as Harold completed his doctorate, then Massachusetts, before returning to Texas retiring with the Fort Bend School system. Mary has published more than 50 children’s books, many about history and Texas. Mary has written books on Sam Houston, Jane Long, Stephen F. Austin, Davy Crockett, George W. Bush, Theodore Roosevelt, Amelia Earhart and many others. Mary’s research into the background of Theodore Roosevelt’s father has expanded into “Like Father, Like Son?” as a topic for our President’s Day program in which she will discuss the Roosevelt, Adams and Bush father-son connections. 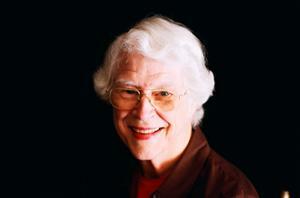 Please join Rotary Richmond on Tuesday to hear Mary Dodson Wade’s unique presentation.